With a surge in the count of individuals using online platform for shopping, shipping has become a part of the daily activity for any e-commerce sellers. Though you run an online store, you have to be aware of the insights on shipping as it can be of great value when you are sending your products to your customers. Having acquaintance of shipping avoids your shipment from getting held up or getting delayed, which might occur if you aren't aware of how things work in the logistics industry. Along with your business strategies, you have to devise a plan for shipping as well. From how to pack your products to POD you should be aware of each and every bit that governs your business. So we have clubbed and listed out a few of the frequently asked questions that a shipper comes across while shipping. Why do shipments get lost in the transit? Have you ever shipped a package to your high-value client, and later ended up getting a message after a few days saying the parcel is lost? It is one of the worst things that could ever happen to an e-commerce seller. This is the most frustrating situation for any seller as this can lead to the loss of a potential customer. Logistics industry has experienced a drastic shift ever after the adoption of advanced technology especially the automation. The tech enables logistics has simplified the life of shippers predominantly the e-commerce sellers. The advanced tracking system which enables the shippers to know the exact location of the shipment to ensure a safe delivery of the products to the customer. But even amidst these, mistakes may happen and your package might get lost in the transit. The reasons may be many, below are few of the possibilities due to which the parcel might get lost. 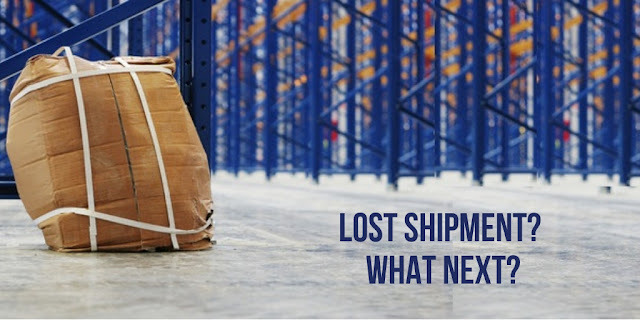 Why do shipments go missing or lost?